If you are a vegetarian, you are in luck with Thai food. Most Thai dishes consist of rice or noodles with vegetables, meat and sauce on top. Meat is viewed as just one part of a dish and not the main focus of the meal. Much of the flavor of Thai food comes from the sauces and vegetables, so you can frequently substitute Tofu or other protein based ingredients that you do eat for the specified meat. 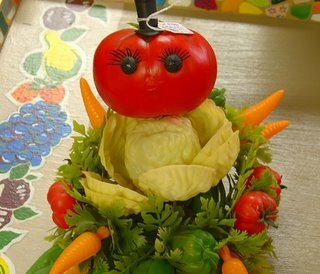 Finding vegetarian restaurants and vegetarian dishes in restaurants is very easy in Thailand. Since many Thais are Hindu or Muslim, it is common to not eat beef or pork. There are even entire vegetarian festivals. Fish - If you stay away from land animals, but do eat and love fish and shellfish, you are also in luck with Thai food. Thailand is centered on a big bay and you see fish and shellfish in Thailand in far more varieties of preparation than you do here. It seems like every type of dish has a variation made with fish and if you are used to the US standards of fried, breaded or steamed, you're in for a treat. 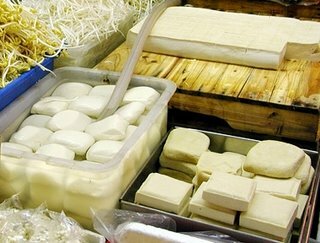 Tofu is very common in Thailand and there are many varieties. Depending on how strict you are, you can frequently omit the meat or substitute egg, sea food or different kinds of tofu for meats. While not found in Thailand, Soy-hot dogs make great Thai fried rice. Fish Sauce is central to Thai cooking. However, fish sauce in most recipes can be substituted by soy sauce (Mushroom soy sauce is best). Not all soy sauces are equal and I would recommend Thai soy sauces in general for Thai food. I was surfing around and I found you page. I LOVE thai food- i studied in thailand for a couple of month actually. It's my favorite. I'm not so good at cooking it tho. Do you have any good recipes? It has more thai reipes.